Though complicated by controversy, a weekend in Los Angeles with thirty domestic workers underscores the power of Hollywood to propel social change. Standing at the center of a circle of women, a housekeeper tells of finally fixing herself a meal after working seven straight hours, only to have the mistress of the house storm into the kitchen and throw the pan of food into the sink, banning “that ethnic food” from her home. Next up, a nanny recounts the most recent day when after working eleven hours straight, her employers requested that she stay late into the night to care for the children. Unable to jeopardize her job, she stayed, going one more night without seeing her own children. The other women in the circle nod in weary recognition and, in turn, tell their own stories. 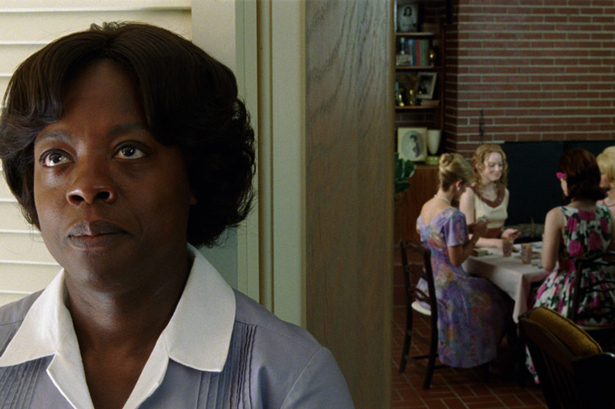 These are not scenes from the popular and controversial movie, The Help. These are twenty-first-century experiences being shared at the Los Angeles gathering of the National Domestic Worker’s Alliance (NDWA) this past weekend. The women present call themselves “the real-life help,” and the meeting was held in conjunction with the Oscars to remind Americans enamored with the Hollywood vision of civil rights era maids asserting their dignity that things have not changed as much as we might think. Linking their campaign to the Oscar buzz of The Help is a savvy move for one of the only organizations dedicated to protecting the rights of our country’s 2.5 million domestic workers. In doing so, NDWA is trying to jump start a conversation about an insidious and largely invisible problem in our culture. They are having some success. NDWA co-founder and director Ai-Jen Poo recently spoke on a widely reviewed panel at USC on the power of film to create social change with writer and director of The Help, Tate Taylor. Students, professors, and press were introduced to the idea that this work of fiction has disturbingly real life parallels we have yet to confront as a society. In her acceptance of the Golden Globe for Best Supporting Actress, The Help star Octavia Spencer praised the work of real life domestic workers. And the campaign twitter hashtag #BeTheHelp that launched during the Golden Globe Awards gained traction during last night’s airing of the Oscars. After spending the weekend with thirty domestic workers, I find it undeniable that the power of the movie runs far deeper than the tactical campaign connection. The Help offers validation to millions of unseen workers and a way in to the national conversation for women who are struggling to change their working conditions. In facilitated sessions over the two-day gathering, the domestic workers without fail used the movie as a narrative springboard, comparing and contrasting their experiences with those of Minny and Aibileen, who have come to feel like personal friends to these domestic workers. One of the workers explained to me that she had never seen stories like theirs told before The Help. The simple fact that they now have an acknowledged presence in popular culture has given power and momentum to their organizing for basic legal protections. In response to an NDWA call, thousands of domestic workers turned out to see the movie together on opening night. Afterwards, leaders were able to organize discussions about how to push their own fight forward. First-time attendees, fired up by what they saw in the movie, responded enthusiastically. Getting a critical mass of domestic workers together is still no small feat. These women are largely invisible precisely because they are isolated in their own workplaces; there’s no lunchroom to pass out union cards, no company picnic where people can speak to each other in a relaxed setting. Many of these workers are undocumented and all are lacking economic security. This combination leaves them almost completely at the mercy of their employers, setting up the perfect conditions for abuse or neglect. New York became the first state in 2010 to formally recognize the rights of these women when it passed the first Domestic Workers Bill of Rights. A similar bill is now working its way through the state house in Sacramento. That’s 2.5 million workers in America, and so far only one and a half states offering them any protection. While such advances seem tiny, The Help has provided invaluable assistance to organizing workers and getting momentum for this breakthrough legislation. Hollywood may have sanitized the past, but it has also given a voice to the present. When Octavia Spencer was awarded the Oscar for Best Supporting Actress last night, our room erupted in cheers and tears. Each domestic worker felt like the victory was their own. In this puzzling cultural conundrum, we find opportunities for change.